Julia J. Kleinschmidt, PhD, LCSW is on the Board of Directors of JNV. 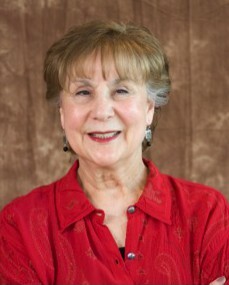 She is an Emeritus Professor who, until retirement in 2012, was a Clinical Professor in the Department of Ophthalmology and Visual Sciences, the John A. Moran Eye Center at the University of Utah. Beginning in 1991, she developed and directed an ophthalmology-based Patient Support Program for patients with visual impairment and for their families. Dr. Kleinschmidt’s research focused on blindness-the psychosocial impact, adjustment issues, and support services/programs, and her findings have been published in professional journals including the Journal of Visual Impairment and Blindness, The Journal of Health Education, The Journal of Neurology, and The Gerontologist. She has also published a book, The Impact of Vision Loss in the Elderly. Dr. Kleinschmidt has presented papers and lectures across the U.S. and in Israel, South Africa, Canada, Sweden, and England. At the University of Utah, Dr. Kleinschmidt has taught classes and presented guest lectures in the Department of Health Education, the Gerontology Center, the College of Pharmacy, and the Department of Special Education. She now continues as a Faculty Associate in the Department of Special Education where she teaches a class on the psychosocial implications of visual impairment. Dr. Kleinschmidt has a Masters Degree in Social Work and is a Licensed Clinical Social Worker. She holds a PhD in Health Education. Patients’ stories have been an integral part of her practice with visually impaired and blind patients and their families, and those narratives have proven essential in providing to patients the interventions needed to achieve adjustment and well-being.